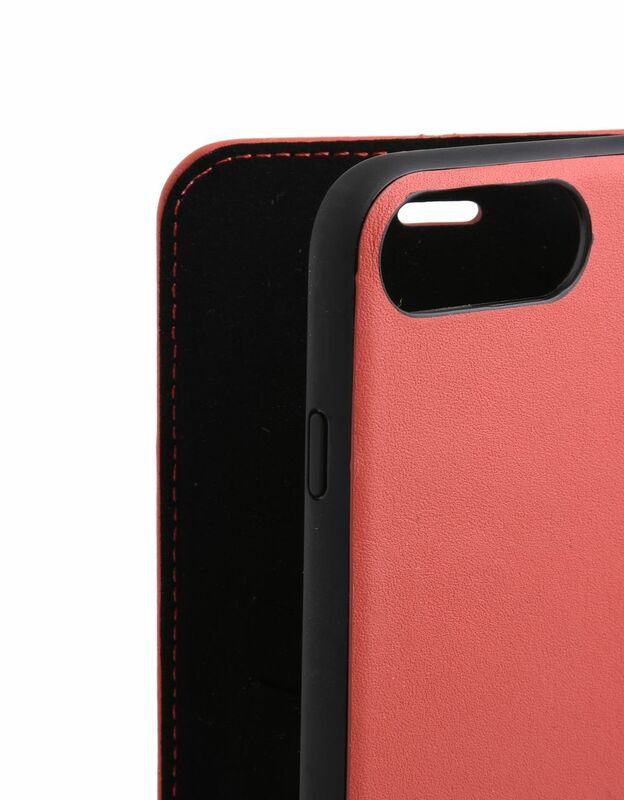 This elegantly designed case for the iPhone 7 Plus and 8 Plus is crafted from genuine leather and detailed with visible stitching in a nod to the craftsmanship of Ferrari car seats. 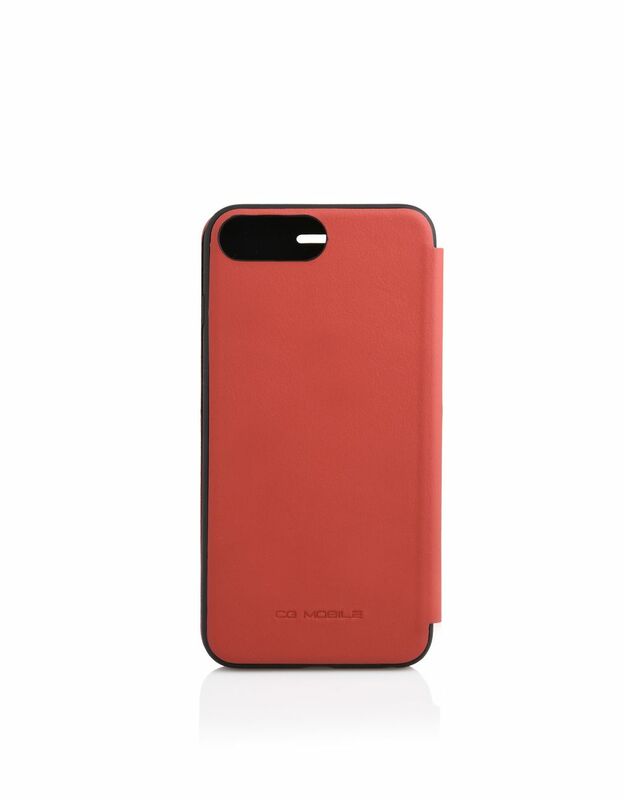 The cover pairs refinement with a sporting spirit in this iconic red version for iPhone 7 Plus and 8 Plus. 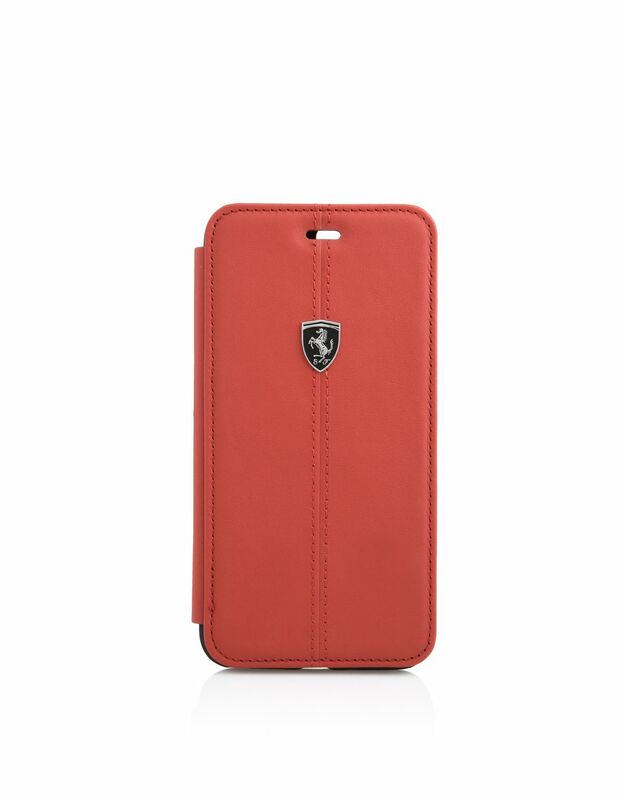 The linear design is complemented by sophisticated racing-inspired tonal stitching and metal edges. Adorned with a black and silver three-dimensional Ferrari Shield on the back and the Scuderia Ferrari logo on the inside, the case offers maximum protection and great user-friendliness, thanks to the camera and button holes and the practical card slots inside. 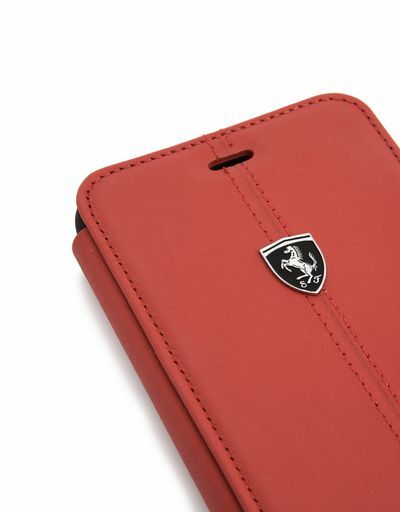 An accessory with a strong personality, dedicated to Scuderia Ferrari enthusiasts.